Hey! Ever lie awake at night, thinking about the meaning of life, exactly how much money you’ve got stashed away in your mattress… and then your mind wanders to what’s going on with the polar ice caps? We’re not surprised, there are many people – both sleepy and quite wide awake – who are giving this topic serious thought. The polar ice caps are already melting, at quite a rapid speed. From 1979 to 2006, Greenland’s ice sheet had an increase of 30% in the melting rate. You can thank this melting for some of the truly odd and extreme weather we’ve seen, all over the world and perhaps right in your backyard. Whether you’ve had three feet of snow when you usually only get a couple of inches at most, or if you’re seeing temps like 100 degrees F when summer is most often in the 80s. The kids may be thrilled for snow days home from school, but the adults know something pretty odd is going on. Some scientists say this will take 5,000 years to happen. Others estimate we will see the polar ice caps really start to melt by 2030. One thing is for certain: people are starting to sit up and pay attention to this topic, because it is no longer “just” a possibility – it is a strong likelihood to happen one day, whenever that might be. Yes, we do want you to sleep soundly and regularly. You’ve got to protect all of that cash in your mattress after all! But we thought you should realize a few of the simple things that will happen, should our polar ice caps melt completely. No, this is not the typical high tide versus low tide you see when you go to the beach. Consider the oceans getting higher by 216 feet. To give you a sense of the size of that, the Mount Rushmore sculpture in the Black Hills of Keystone, South Dakota, with the four President’s faces sculpted into it is 465 feet high. So George Washington, Thomas Jefferson, Theodore Roosevelt and Abraham Lincoln would be about nose high in ocean water! 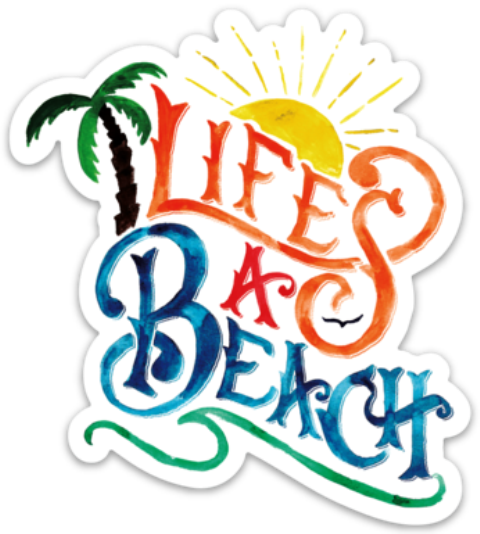 And if you live in a coastal area, well… let’s just say you’ll be much, much more than nose-deep. Say goodbye to that beach house you’ve been saving up for with that money in your mattress, because it’ll go the way of Atlantis. 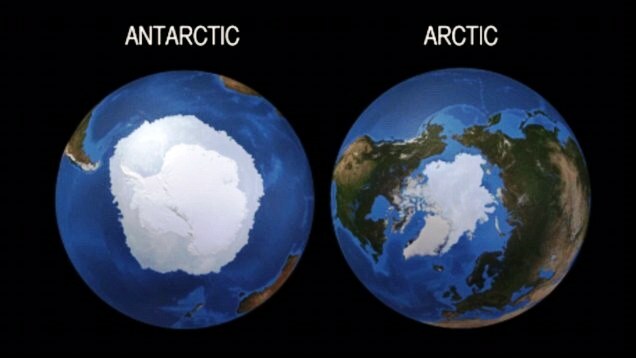 If we do lose the ice caps, weather conditions in your area may become quite unpredictable. This is actually history repeating itself. In prehistoric times, harsh weather was one of the top reasons to cause the extinction of many species that used to roam the earth. No, not the guys who wore mullets – think more along the lines of dinosaurs. Today people have many more resources than people did in centuries past to survive weather that can be extremely cold, hot, windy, or any other type of circumstance that may occur. We are fortunate to live in times with items such as solar energy, batteries, electricity, canned or other pre-packaged foods, medicine that can last for awhile, boats, planes, and other types of vehicles which can navigate over various terrains. But extreme weather still causes hundreds, and even thousands of casualties each year, and it would likely only get worse as the weather gets more extreme and violent. 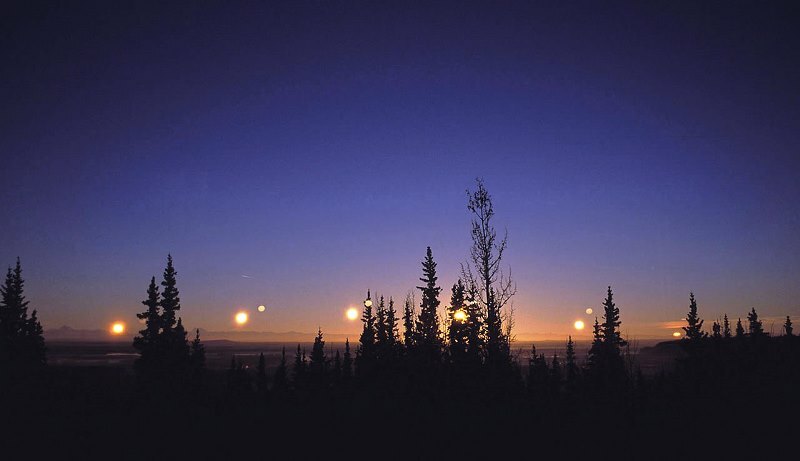 Scientists say that this could happen as early as 2030, which actually isn’t as far off as we might think. Heck, that’s only three World Cups away. Keep in mind this includes everyone who lives in Greenland, Alaska and Siberia. Many of these are coastal communities and they will simply vanish, with no ice there to help protect them from storms. You could see a situation where upwards of four million people will need to relocate to flee the changing, extreme weather conditions. And that’s not even mentioning all those people on the more southern coasts we alluded to earlier. In short, the world is about to get a lot smarter if the ice caps melt. Now, Arctic regions are already seeing an increase in the fish that are in the waters. Five Arctic nations have promised to not participate in unregulated fishing in international waters. Scientists say that the photosynthetic plankton that lives out in the ocean will take the place of the algae, which grew on ice. So fish and sea mammals will have plenty of nutritious food to eat, so that’s good at least. It is expected, in fact, without ice that fish and sea mammal populations could increase by up to 70%. While some of you may be thinking about enjoying the low cost of a seafood meal – a lot more is at stake here. You can do the same for the seals and walruses that call the Arctic home, too. Because without the ice, they are going to starve to death. The US Fish and Wildlife Service listed polar bears as a “threatened” species in 2008. It is estimated that there are 25,000 polar bears in the Arctic in total, with about 2,000 of them actively living on the polar ice. That’s not too many, right? But we can see that other Arctic animals will quickly be “threatened” or “extinct,” only to be seen in the rare and lucky zoo. So that’s… something, we suppose? There may be a few of you responsible citizens who are reading this article and saying, “well, if we’re running out of this, why don’t we create more of it?” The scientists have already pitched that big idea and basically have struck out. The steps needed to limit the ice becoming warm are things that most people and countries simply don’t want to make the efforts to do. They would need to create large forests from land and then use high-tech technology to pull the carbon dioxide out of the air. That would help to slow down the warming of the polar ice caps. To actually grow the ice caps, countries would need to do so much more. So if they are unwilling to take the steps to slow down the warming, it is clear that they won’t help to grow ice. You can put down your ice cube tray, we know you were really trying to help! As the polar ice caps melt, the beautiful coastal cities we know all around the world are going to change and some may even disappear. 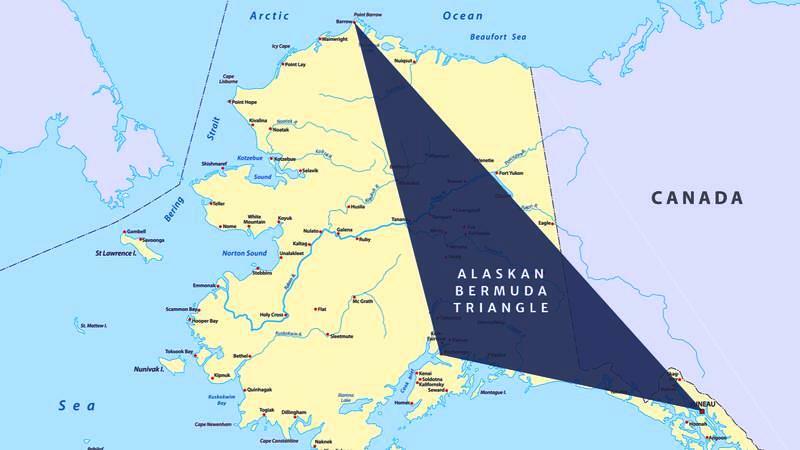 The shape of some countries may be quite different hundreds of years from now – than what you see today. Remember that whole “216 feet of rising water” thing we were talking about earlier? Yeah, this is where that comes into play. Most of Florida, New Orleans, and so many other cities around the world would eventually be underwater. 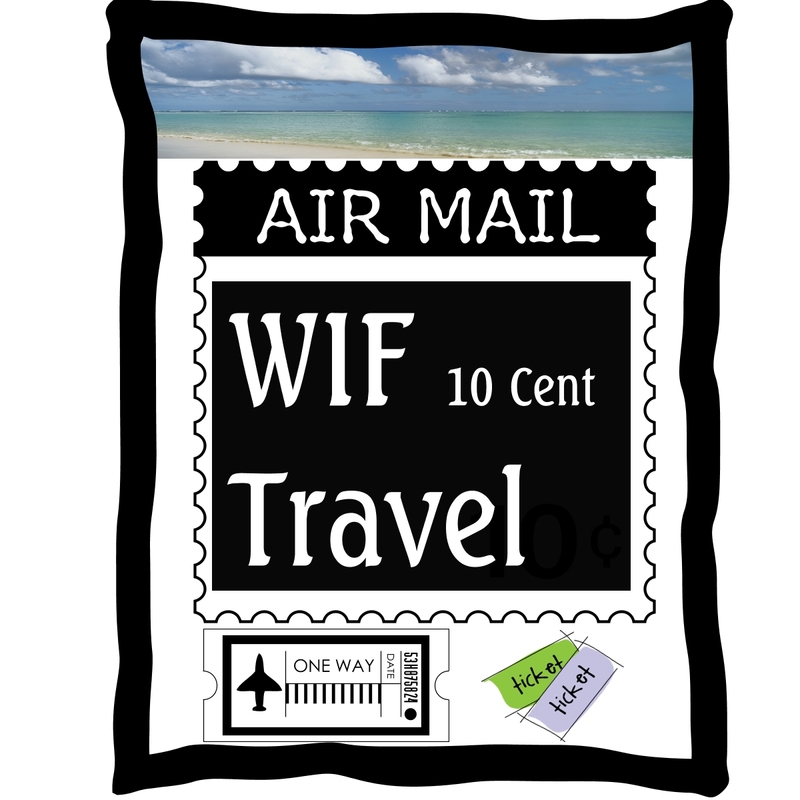 So now is the time to go visit those fantastic places you’ve always wanted to see, especially the ones that have an ocean view. When the polar ice caps melt, these cities may look quite different one day. Admittedly, many today when they hear the word “Amazon” first think of shopping online. But long before you could click a mouse, there was the mighty and impressive Amazon River. If the polar ice caps melt, this river will be changed significantly and permanently. The massive influx of new water around the world would conceivably flood the Amazon, pushing it well past its capacity. What is rather unique is that it actually would transform into a sea. The Amazon River would then cover quite a bit of Brazil’s landscape. 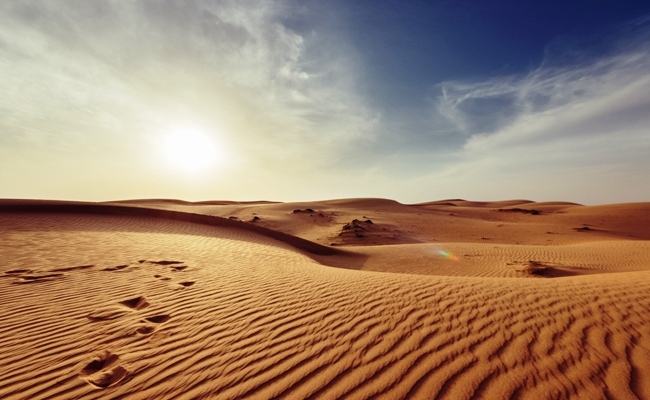 All around the globe, you’d see major growth to the world’s deserts. Yes, that means the ice caps melting would make some places even more dry. It sounds counter-intuitive but it’s true. Australia’s desert would cover most of the country. So living in Australia would become quite different. Remember that some coastal cities in Australia will be lost, too. 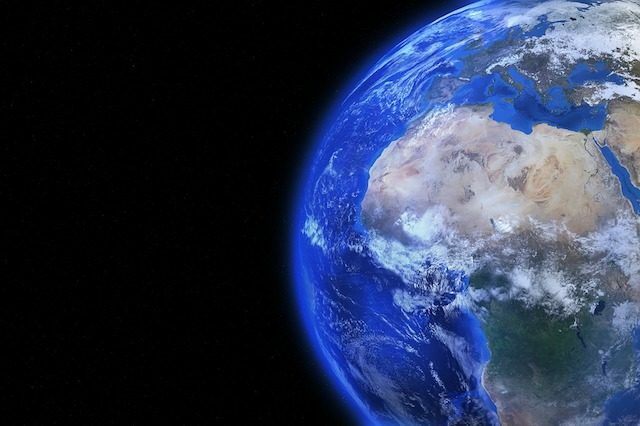 The southeastern part of Africa would become 100% desert. Terrain will change as the climates change, too. Most of us would be dealing head-on with the polar ice cap “situation,” as a reality TV star might say. According to the Daily Mail, over 75% of the world’s people live at less than 300 feet above sea level, which sounds okay. It sounds like most of us would be safely out of harms way. But keep in mind, the level of our oceans is expected to rise by more than 200 feet. Suddenly, if you’re living in Arkansas or Vermont, you may suddenly find yourself sitting on some beachfront property. Better start investing in Missouri farmland now… it could become a tropical paradise before too long! The Earth is not always your friend, and the planet upon which we developed may not treat us gently despite the effort with which we have colonized so much of its surface. 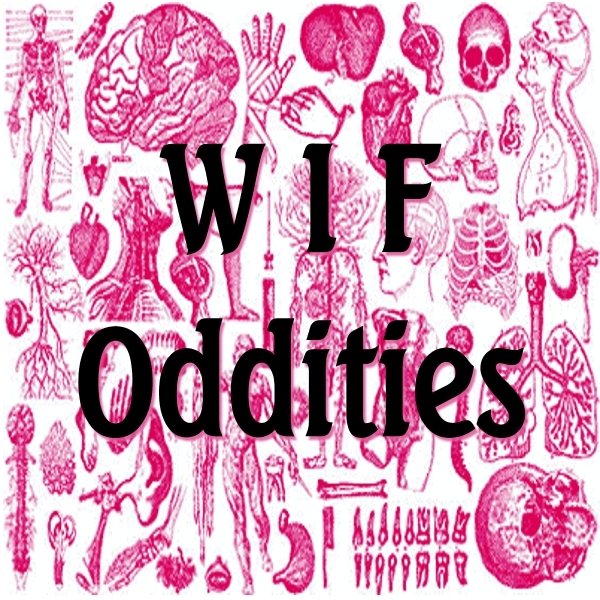 In this account, we move beyond familiar floods, tornadoes and earthquakes to discover the really weird ways that an active and sometimes badly behaved planet can create a real but strange threat to your safety. Learn, and be safe; looking out not only for wild animals, but approaching the planet itself with care as you walk its surface. The Earth is defined by interactions between the rocks, the atmosphere and water. And when that interaction involves the accumulation of frozen water in the form of snow in places where there are trees, an extraordinary level of danger may form. It is not only a crevice that may threaten skiers. A much more common and sometimes worse danger comes from tree wells. Tree wells are an ever-present risk on mountainsides that suffocate many unwary snow sports enthusiasts when they fall into a gaping hole in the snow where a tree stands, concealing the snowy well around its trunk. When a large conifer tree stands on a mountain, snowfall may pile up to a depth of many feet. Yet around the tree trunk and within the curtilage of the tree’s branches, snow is likely to be missing. The result is the presence of a diabolically well concealed hole or “well” around the tree. Upon beginning to pass a tree at too close a range, a skier or snowboarder may pitch forward into a tree well and be stuck, often headfirst. As a result, suffocation may occur from the fine snow material while limbs may be trapped in the snow. 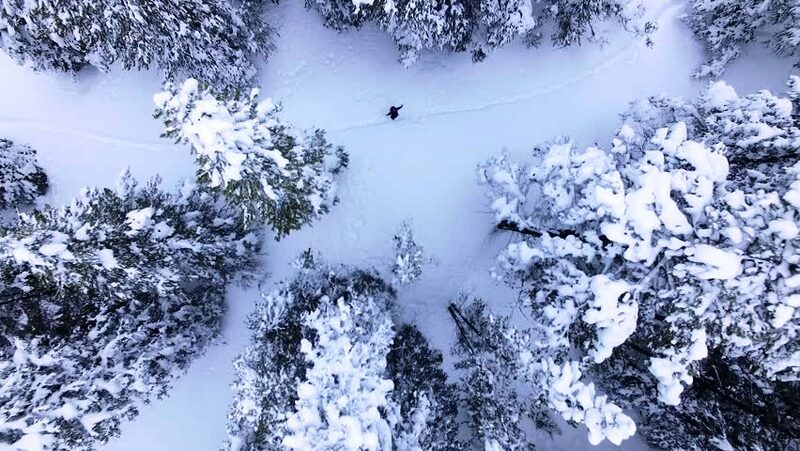 Giving trees a wide berth is the best defense against the actual issue of falling in, while skiing with a partner affords a far greater chance of being seen and rescued. We all know the danger of drowning in a lake, but surprisingly, the most dangerous lakes in the world are not those in which one could drown, but rather, create the effect of oxygen deprivation while the victims are still on land. When seismic activity, organic decomposition and toxic gas combine together in the gas lake phenomenon, the results are both horrifically eerie and costly in human lives. Lake Nyos in Cameroon is the most notorious gas-releasing lake, having killed 1,746 people when stored carbon dioxide was released en masse, annihilating nearby villages. On August 21, 1986, the eerie looking lake, surrounded by dark hills and containing settled areas in its curtilage, released a massive cloud of carbon dioxide totaling 1.2 cubic kilometers in volume. As a result, the vast majority of those who encountered the cloud suffocated to death, unable to access oxygen as the cloud hugged the ground and spread throughout the village of Nyos and other nearby settled areas including Cha, Kam and Subum. Countless animals were lost along with human lives, while the extinguishing of candles indicated the arrival of the deadly cloud. Those resting close to the ground or first encountering the gas represented many fatalities, while some still standing survived as the gas remained closer to the ground. Now, equipment is in place to release gas to prevent another deadly buildup. Frozen rain may sting slightly, but truly monstrous hailstones, sometimes weighing over a pound and measuring several inches in diameter, have been responsible for a disturbing range of fatalities throughout world history. Being struck on the head by falling ice is no laughing matter, particularly when that ice is formed into a rock-hard ball and is falling at maximum velocity. In the United States, a number of deaths, injuries and cases of extreme property damage have resulted from hailstones of substantial size and weight. Giant hail the size of a baseball may fall at speeds at around 100 mph. Hail 2.75 inches in diameter may smash windshields, while larger hail, up to 4.5 inches may punch a hole through a roof. Injuries can be horrific. In one case, a runner was covered in welts and bruises, while a hail strike on a pizza delivery person in Fort Worth, Texas in 2000 was fatal. 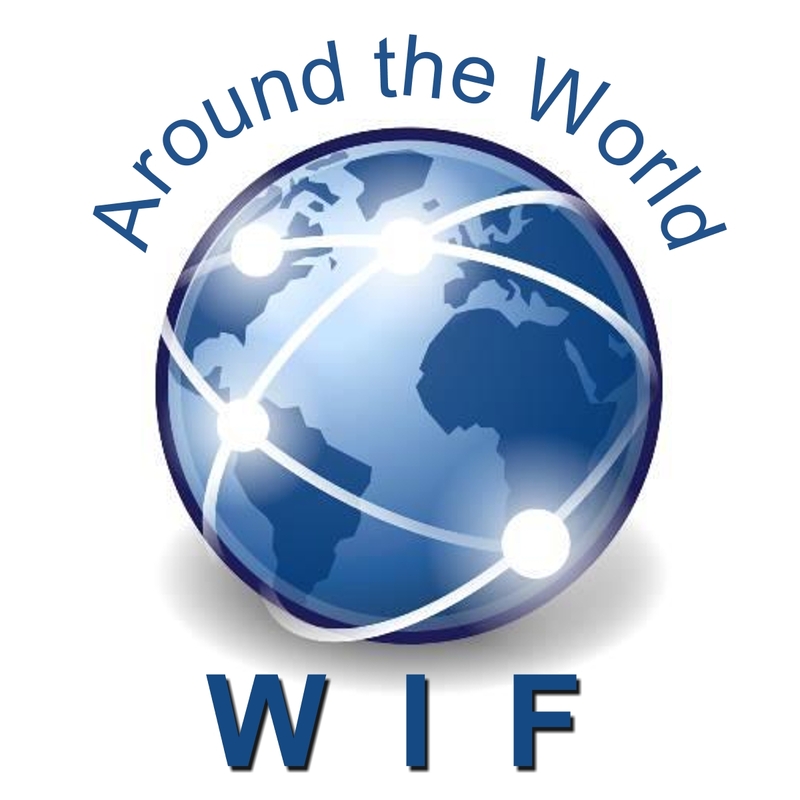 Previously, Fort Worth had hosted an ill-fated Mayfest gathering in May 1995 when hail pummeled a crowd of 10,000, injuring 400 people. A total of 60 people had to be sent to hospital. In 1988, 246 individuals in India lost their lives during a tragically fatal hail onslaught. While falling ice from the sky naturally poses extreme dangers, it is worth remembering that certain storms are better met with a riot shield than an umbrella. Better yet, just stay indoors if there is any indication of hail, as you don’t know how big the stones may get. Wishing the ground might open up and swallow one alive may be a clichéd expression, but in fact sinkholes, sometimes in urban areas, can cause untold devastation and shake our confidence in the Earth to the core. In some cases, sinkholes can kill as they swallow individuals, roads, and even entire buildings at depths of over 250 feet. In places around the world, the ground below the surface may be pockmarked with cavities and also less than solid. In certain cases, a thin layer of the uppermost portions of the Earth’s crust may conceal gaping holes capable of swallowing buildings, buses and pretty much anything else unfortunate enough to be in the way; that is, on top of such a hidden cavity when the inevitable collapse happens. Sometimes triggered by an earthquake, sometimes by a sudden increase in pressure (as in certain construction projects), or as the result of flash flooding or the accumulation of slow-acting, groundwater-based erosion, sinkholes may result in catastrophic injuries, deaths and property damage. While even moderately sized sinkholes may be fatal, enormous sinkholes that bend the bounds of imagination have included such horrors as the monster sinkhole that opened in Guatamala City in 2010, spurred by tropical storm induced floodwater action. The hole measures around 60 feet wide and is estimated to be in the range of 30 stories in depth as judged by University of Kentucky hydrogeologist James Currens. Geysers and hot springs may look fun, but they also present the risk of simply steaming or boiling careless viewers and adventurers alive. After all, erupting magma is obviously extremely dangerous, and most people will stay away from an erupting volcano, but many explorers are less aware of the danger of an encounter with what could turn out to be a killer geyser or a hot spring from hell. When viewing geysers or examining hot springs, don’t get too close, and in an uncharted walk in geyser country, be prepared to run for your life. Geysers in popular places such as Yellowstone National Park have killed a disturbing number of visitors, adding up to more than 20 documented deaths. The most recent fatality to take place was in 2016, when a young man walked over 200 yards into the Norris Geyser Basin, only to die in a hot spring that boiled him to death. Many people visiting Yellowstone have been burned either by spraying geysers or by breaking through the thin layer of rock into boiling water underneath. In other cases, individuals have died when attempting to navigate over or around chasms or pools of boiling water, only to fall in and get fatally scalded. The moral of the story? Avoid stepping off marked paths and be sure to resist the temptation to pioneer, as the unknown is also the most unsafe when it comes to natural areas full of boiling water. It’s not just the liquid magma of volcanoes that presents a threat. Just as a lake filled with carbon dioxide can pose a great risk, volcanic activity can create highly dangerous situations where those in the vicinity of the action may be deprived of oxygen, exposed to toxic fumes and possibly risk loss of life. Unnervingly, grisly deaths have occurred from lava haze, where hot gases have accumulated and subsequently suffocated and burned the lungs of those explorers who engage in geo-tourism or attempt to study volcanoes. The ground may look safe and walkable near a volcanically active zone in certain cases, but accumulating gases may suddenly make such an area uninhabitable, with no air left to breathe. As volcanic activity occurs, a plethora of chemicals are released, which may accumulate undetected, be suddenly let forth with little warning, or be greatly compounded through chemical reactions with solutions and compounds already present on the Earth. The lava haze capable of causing death can contain extremely dangerous chemicals resulting from the mixing of hot volcanic products with seawater. The deadly vapors can not only limit access to oxygen, but cause nasty, potentially fatal chemical burns and lung damage. The makeup of volcanically produced haze can include hydrochloric acid caused by the reaction of lava with seawater, sulfuric compounds, and carbon compounds. While less visible than lava, lava haze is another reason to keep your distance when the Earth is agitated! More than just air raids present the risk of being smitten from above. Nature does its best to rain down not only frozen hazards in the form of hail, but freshly launched weaponry in the form of pyroclastic bombs hurled forth as the result of intense volcanic activity. Extreme dangers are presented not only by flowing magma when a volcano erupts, but by the presence of flying pyroclastic bombs. These pyroclastic bombs are little less than natural weapons of mass destruction if encountered. The objects are one of the worst ways to get clobbered to death by rocks as angry volcanos not only spew molten magma, but launch the pre-hardened, bomb-shaped stones at incredible velocities to great distances. Unfortunately, the desire of some amateur volcanologists to collect the bombs may create an even greater risk of being hit. If small, the objects may inflict bullet-like wounds. If large, the impact may cause immediate death through the force of impact. While extremely hot, lava bombs are not molten on the outside. The largest specimens may blast entire sections of a mountainside into the air when they land, and could easily demolish a car, tree, or house. However, the lava bombs present highly useful research opportunities as freshly ejected specimens of volcanic material from deep below the surface. Researchers may forget due caution as they put themselves within a volcanic bomb volley’s striking distance just to gather a specimen. Volcanic areas do not just present the risk of eruption; a risk comparable to a sinkhole from falling into open lava tubes makes walking near volcanically active areas a recipe for disaster in many cases. While a sinkhole may lead to crushing or falling injuries, a lava tube fall may result in more than just injury from a fall or limb entrapment. Lava tubes that are more open and accessible are sometimes explored by the intrepid who visit volcanos, but the areas are frequently fraught with danger. 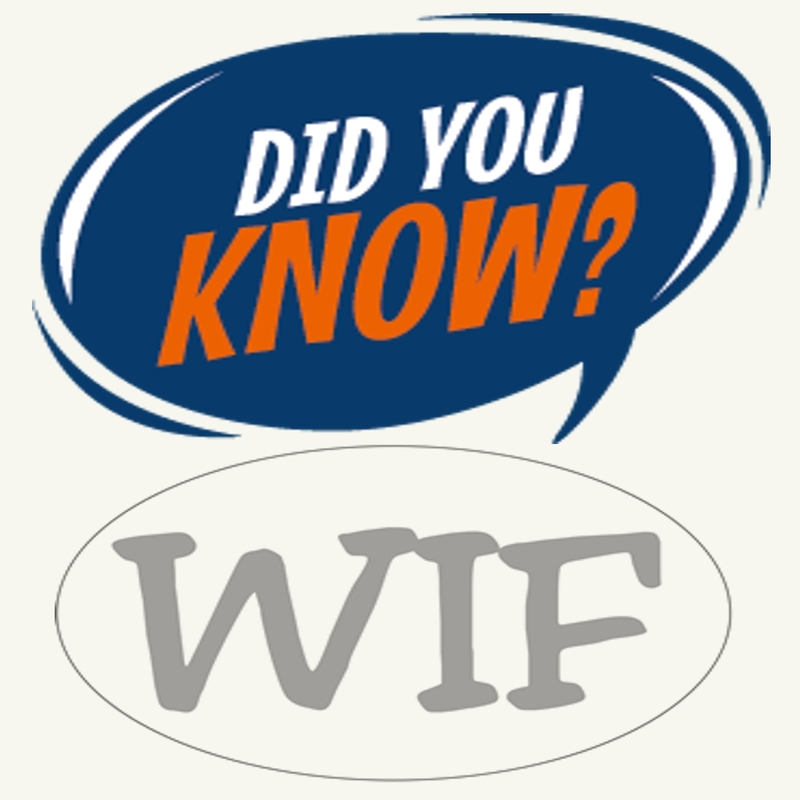 Further risks are presented by the presence of either hot lava, steam, or toxic gases. The physical structure of areas near to volcanic activity can be unpredictable and hard to clearly define and navigate. Accidentally falling into a treacherous lava tube poses the greatest threat, as one does not know what may lie at the bottom or how far or hard one may fall. Lava tubes can be incredibly deep, with serious threats facing anyone who explores out of bounds and ends up falling into the tube. In one case, a 15-year-old boy fell a full 25 feet down into a lava tube while carelessly exploring after climbing a fence. 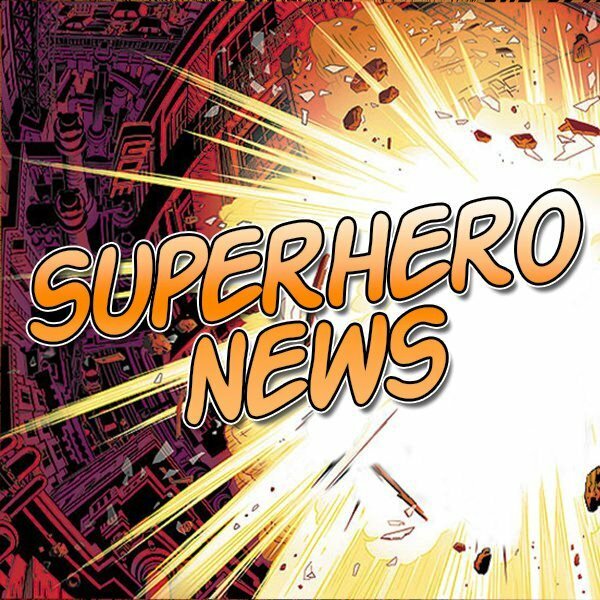 Fortunately, the victim was able to be rescued, but the results of a mishap involving a lava tube can have a far more serious end. The presence of lava tubes goes to confirm why volcanically active areas must be treated with great caution, whether or not there appears to be active magma present. Not a tsunami, a rogue wave may appear at any point on the ocean, causing death by sweeping people out to sea who are near the coast, even if a little ways inland. Rogue waves at sea present further immediate threats to ships, which may be swamped, hit by debris or capsized. As a result of the risk posed to the public by rogue waves, signs indicating the dangers of standing near the open sea have frequently been posted to discourage careless beach combing. Turning one’s back on the water is especially risky, while even facing the water is not advisable in rocky areas where being caught up in a sudden avalanche of water comes with the added risk of being dashed against the rocks. Once believed to be mere tall tales told by overly imaginative sailors, rogue waves have been discovered to be real life events backed by physics through exploration of accounts and theoretical analysis. Rogue waves can not only be reported both on the high seas and when the strike near the shore, but statistical and physical analysis shows how certain waves at intervals may gain great power and size. In certain cases, ships have been downed by absolutely enormous waves, exceeding 80 feet in certain cases. The ocean is a massive water body, and where whirlpools form at sea, the results can be disastrous. Immortalized in Norwegian culture as the Maelstrom and described as a phenomenon in Sicily under the name Charybdis, the oceanic whirlpool is a force to be both feared and avoided, and also difficult to study for obvious reasons. In the Scandinavian regions, the exceedingly powerful Moskstraumen Maelstrom formed where the sea is actually very shallow, between 131 and 197 feet in depth. The resulting tidal movements of the water, exacerbated by the action of the moon led to grand legends forming of enormous whirlpools capable of bringing ships down to the ocean floor. While such a maelstrom indeed would be dangerous in many craft, the reports have certainly been, shall we say, bolstered by popular mythology. In the case of the Charybdis, one notorious Mediterranean whirlpool was ascribed to the action of a sea monster (if you’ve ever read Homer’s Odyssey you’ll no doubt be familiar). The Strait of Corryvreckan is known to be home to one of the worst whirlpools on the planet. While not the largest or strongest, this whirlpool was “tested” with a dummy wearing a lifejacket, which was sucked out of sight and recovered some distance away, showing signs of scraping the bottom deep below the swirling waves, while the depth indicator read 226 feet. One of the most immediately surprising facts about fungi may be how to pronounce the word: fun-jai, not fun-guy. 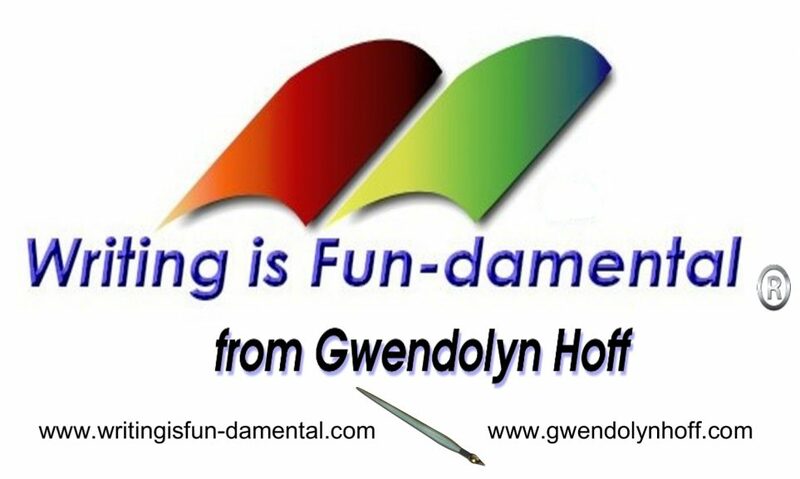 But the fun(gi) doesn’t stop there. From fungal intelligence to saving the world, fungi are full of surprises. We don’t know how many species (of any kind, fungal or not) there are on Earth, but recent estimates suggest as many as 8.7 million—6.5 million on the land and 2.2 million in the sea. Of these, a staggering 5.1 million species—more than half the total—are thought to be fungi, outnumbering plant species by more than 6 to 1. And, according to one of the world’s leading mycologists, Paul Stamets, this ratio may actually be closer to 10:1; certainly around 30% of the soil mass beneath our feet is fungal in nature, both living and dead, representing the “biggest repository of carbon in the world.” In fact, for every meter of tree root, Stamets says, there’s a kilometer of mycelium—the sprawling underground network of branching tubular filaments, or hyphae, that underpin mushroom growth on the surface. Even if, as some have speculated, the total number of species approaches 1 trillion (1,000,000,000,000), the majority of these are probably microbial fungi. And since many of them thrive on your body, there’s really no escaping. Fungi are everywhere. We know fungi predate humans by millions, even billions, of years and not just by extrapolating to the past. We’ve actually found 90-million-year-old specimens of Cordyceps in amber and fossilized Prototaxites dating back 420 million years. We also know the fungal kingdom has long boasted some of the largest organisms on Earth. That prehistoric Prototaxites, for example, reached a towering, spire-like 24 feet in its day, a time when even the tallest trees were no more than a few feet high. Even today, the largest living fungus dwarfs many major cities, and easily an adult blue whale. With its sprawling, 2,384-acre mycelium, the giant, 2,400-8,650-year-old Armillaria ostoyae of Oregon’s Blue Mountains covers an impressive four square miles—the equivalent of nearly 2,000 football fields. Fungi are also surprisingly resilient. Certain species can survive at sub-zero temperatures by generating their own heat (hence the need to freeze meat to -10°F or below), as well as relatively high temperatures of up to 150°F. Evidence even suggests that fungal spores could survive in interstellar space for hundreds of years—or perhaps even tens of millions of years given dark, molecular clouds to travel in. In theory, this could allow them to drift from one solar system to another for aeons, potentially seeding life across whole galaxies. For thousands of years, fungi have been used in medicine. The ancient Chinese used Ophiocordyceps sinensis (a fungus that grows on insects) as a general panacea, Hippocrates used Fomes fomentarius as an anti-inflammatory, and Native Americans used puffballs on wounds. More recently, of course, penicillin(from Penicillium fungi) has been used as an antibiotic. And we can expect plenty more fungal remedies in the future. One of the most promising and potentially groundbreaking species is the agarikon wood conk (Laricifomes officinalis) that grows on Douglas fir trees in the forests of the Pacific Northwest. This lumpy fungus, which looks a little like a wasps’ nest on trees, is extremely resistant to a range of flu viruses—including (in combination with other mushrooms) the potentially devastating bird flu—and it’s completely non-toxic for us. It could also be key to developing effective vaccines against smallpox, which is big news considering how few of us have been vaccinated and how little vaccine there is. 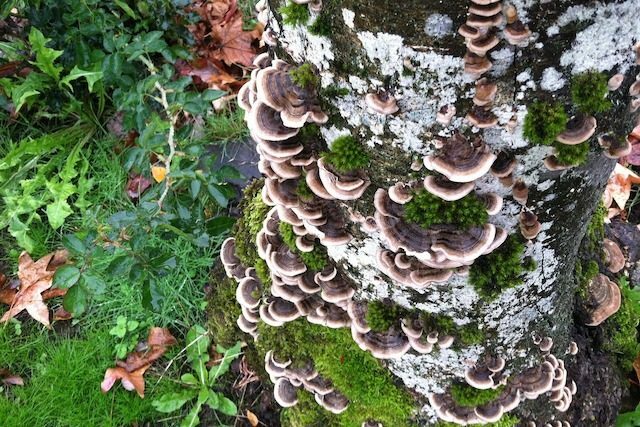 Hence the Department of Health and Human Services set up Project BioShield to investigate the agarikon fungus, and Stamets has declared the conservation of its old-growth habitats a matter of national security. Whether we like them or not, we all tend to think of edible mushrooms as a generally healthy food. And we’re not entirely wrong—particularly when it comes to medicinal mushrooms like reishi (lingzhi), shiitake, and lion’s mane. However, there’s an important caveat to keep in mind: All mushrooms need to be cooked. Because of their tough cell walls composed mainly of chitin (the same protectively fibrous substance as the exoskeletons of arthropods), uncooked mushrooms are basically indigestible by humans. Worse, many species (or even individual specimens of otherwise “edible” species, because of their porousness) contain harmful pathogens and toxins that may lead to cell damage and digestive irritation, among other specific complaints. Not only will thorough heating eliminate these toxins from mushrooms, but cooking or heat-treating is also necessary to release the proteins, vitamins, and minerals that we’re eating them for in the first place. It’s not entirely clear what he meant by that, but we do know that an “unfortunate group of compounds” in this type of mushroom (Agaricus bisporus) has carcinogenic properties. And while these agaritines, as they’re called, do break down when cooked, they need to be cooked pretty well—since even boiling these mushrooms for 2 hours straight won’t completely eliminate the compounds. 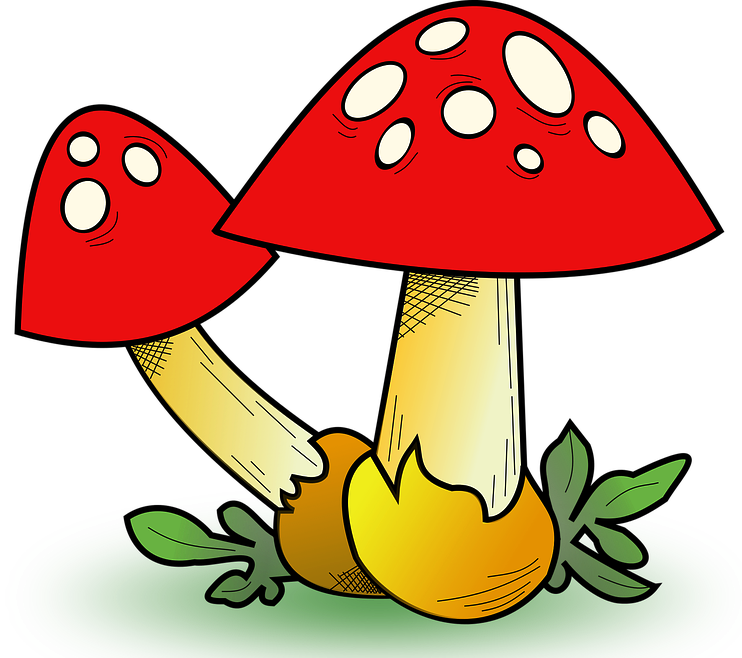 Fungi have many uses besides the medicinal and gourmet. For example, the same chitin that makes them pretty much indigestible for humans can also be used to make paper. Scientists realized this in the 1970s while investigating chitin shrimp shells as a possible alternative to wood pulp. 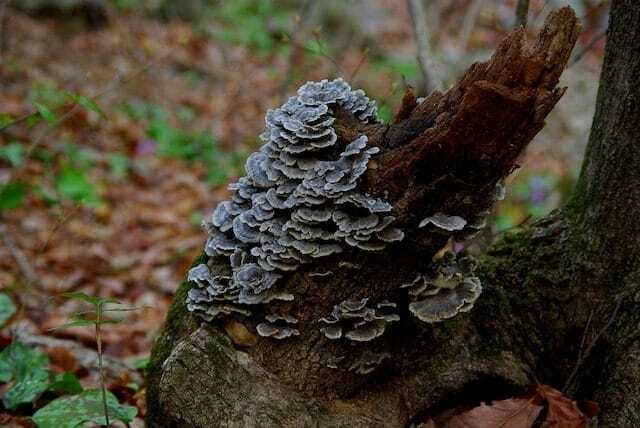 Moreover, some of the best fungi for papermaking—turkey tail and reishi—are both easy to mass produce. In fact, with only a few pieces of equipment, you could rapidly grow them at home, then pulp them in a blender to mold into sheets to dry. Fungi can also be used to make textiles, as well as the dyes to color them. Romanians have long extracted amadou from Fomes fomentarius fungi to make traditional felt-like hats, for example. But it turns out garments can actually be grown as fungi from scratch. Starting out in petri dishes, living mycelium “fabric swatches” are placed around 3D models and allowed to grow into individual, one-of-a-kind garments. Even shoes can be made in this way. And of course they’ll all be 100% biodegradable, as well as, in many cases, water-repellant, anti-microbial, and actually beneficial for the skin. Fomes fomentarius has a far more prehistoric, and far more functional, use than hatmaking. Also known as the tinder fungus, it has a remarkable ability to catch and hold the otherwise cold, inert sparks that come from striking flint—ideal for starting and carrying fires in the wild. This may have been why Ötzi the Iceman, the frozen 5,000-year-old mummy, carried a lump of it in a pouch. But there’s another way fungi can light up the dark, and it doesn’t involve any flames. Bioluminescent fungus species produce a green glow or “foxfire” when luciferin (“light-bringer”) molecules react with oxygen—just as in fireflies, anglerfish, and other bioluminescent organisms. More than 80 species of fungus, including Neonothopanus gardneri (flor de coco), are known to glow in the dark and, interestingly enough, they onlyglow in the dark, attracting insects at night to scatter their spores. Clearly this is of interest to us. For one thing, thanks to the compatibility of fungal luciferin with plant biochemistry, scientists believe it could one day be used to genetically engineer bioluminescent trees as a sustainable, in fact literally green, alternative to streetlights. They might appear to grow like plants and in some cases even look like plants, but, genetically speaking, fungi have a lot more in common with animals. Just like us, they “breathe in” oxygen and give out CO2, they don’t need sunlight to reproduce, and they rely on other organisms for food. Also, the chitin that makes up their cell walls is found nowhere in the plant kingdom (which uses cellulose instead) but is plentiful among animals, including the shells of crabs and insects. As you’ve probably noticed, mushrooms can even feel a little like meat when you’re eating them, hence their (somewhat misguided) use in “vegetarian” meat substitutes. Around 650 billion years ago, animals and fungi branched from a common ancestor, the super-kingdom known as opisthokonta. And it’s thought that our shared ancestral opisthokonts had both animal and fungal features. In other words, as Stamets puts it, animals came from fungi; humans are fungal bodies. And while we’ve a lot less in common with a toadstool than a chimp, our shared genetic ancestry might explain why fungal diseases in humans can be tricky to target and treat without also harming the host. Evolutionary cousins or not, it’s tempting to think of fungi as somewhat behind animals, and certainly humans, in the so-called “march of progress.” They don’t move, they don’t speak, they have no discernible culture (except in the purely biological sense of the term), and they’re not even self-aware. On the surface, they’re more “stupid” than jellyfish. But are any of these traits really necessary, or even desirable, as a measure of practical intelligence? According to researchers in 2010, even slime mold is smarter than some of our brightest and best. Arranging oat flakes in the pattern of cities around Tokyo, scientists observed a specimen of yellow slime mold (Physarum polycephalum) establish, reinforce, and refine nutrient-carrying links between them. And by the end of the experiment, not only did this mycelial network bear a striking resemblance to the existing Tokyo metro system, it was also more efficient. Unlike the human effort, the fungal equivalent continually strengthened the busiest tubes—the tubes carrying the most nutrients—and pruned any that became redundant. And this is just how mycelium works in nature, relaying not only food but also crucial information about the environment, including the precise whereabouts of food sources (e.g. fallen branches) and predators (e.g. footsteps), across huge distances. 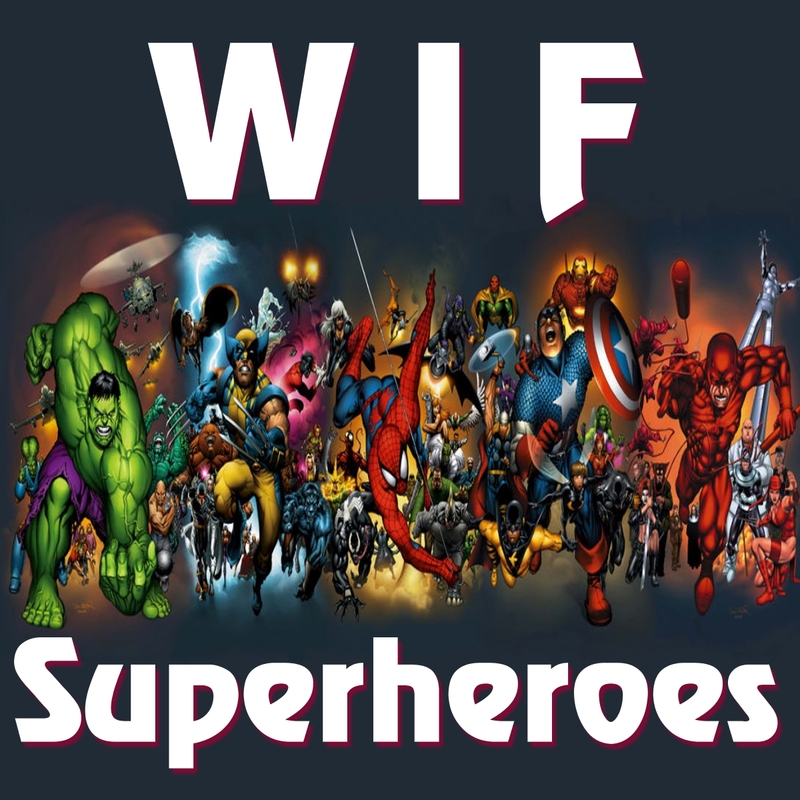 It even forms mutually beneficial alliances, or “guilds,” with other organisms. Hence mycologists think of mycelium as a kind of natural internet, with individual tips branching out to explore and the entire network benefiting from their discoveries. Stamets calls it “the neurological network of nature,” and even believes we might one day be able to communicate with it. With “a level of complexity that exceeds the computational powers of our most advanced supercomputers,” mycelia could tell us all sorts about the environment, as well as the organisms within it, and this could be vital for our survival on this planet—or indeed any other. Given the staggering efficiency of fungi, there may well be similarly networked organisms throughout the entire universe. According to ethnobotanist Terence McKenna, human evolution from Homo erectus to the much smarter Homo sapiens was made possible by eating certain species of mushrooms, the revolutionary psychoactive effects of which we encountered upon descending from the trees. And while McKenna’s hypothesis is controversial, it’s not nearly as far-fetched as it sounds—nor even as exciting as the facts. 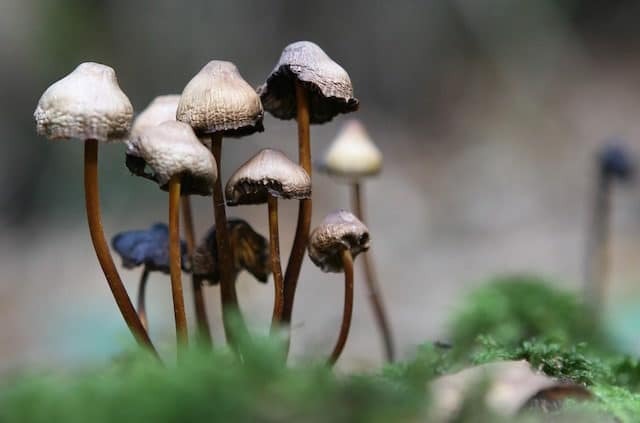 Increasingly, scientists are discovering that psilocybin—the psychoactive alkaloid found in Psilocybe semilanceata, cubensis, azurescens, and cyanescens, among others—is like Miracle-Gro for the brain. More specifically, the compound promotes the growth of new neurons (a process known as neurogenesis) and optimizes the connections between them (neuroplasticity), liberating us from established patterns of thought and behavior, and dramatically enhancing cognition. And this can happen within hours even on tiny amounts—hence the allure of “microdosing” psilocybin for a competitive edge in the workplace. Many have also reported near-miraculous recoveries from depression, anxiety, addiction, PTSD, aggression, and other negative mind states. Paul Stamets himself, following an especially profound experience with “magic mushrooms,” was immediately and permanently cured of a lifelong stuttering habit. Although scandalously illegal in most countries (though some are making progress), not only is psilocybin safe for human consumption, it actually works with the brain in a way that suggests it’s supposed to. 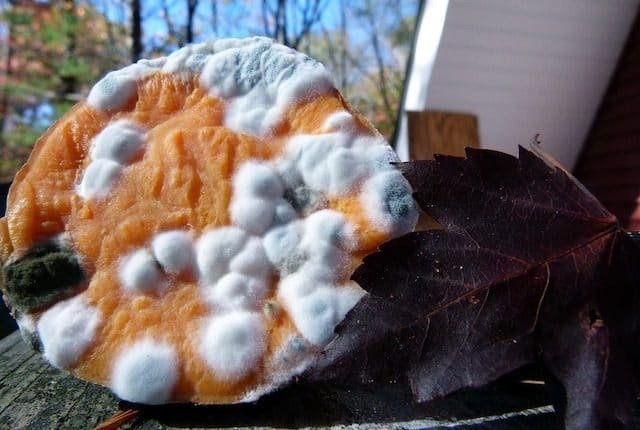 Actually, fungi already save the planet every day, since without them dead plants wouldn’t be turned back into soil and life on Earth would soon disappear beneath mountains of lifeless debris. However, there’s another, arguably more pressing way that fungi could save the world—and it’s from ourselves. Furthermore, MycoHoney, another of Stamets’ products, promises to halt colony collapse among bees—a major threat to our food supply. Made from polypore mycelium, which bees are naturally attracted to, MycoHoney keeps bees from dying too early. And this means that younger, stay-at-home “nurse” bees aren’t forced to replace older, foraging “worker” bees prematurely killed by, say, chemical pesticides, and can instead focus on protecting and maintaining the hive. Given that 30% of our crops and 90% of wild plants rely on pollination, this is very good news indeed. Restricted or enabled only by the bounds of natural selection, nature has proven that a vacuum is hard to maintain. While some types of creatures might seem fit for science fiction or simply defy our imagination, the natural world holds a place for creatures that defy common sense or human expectation in existing. 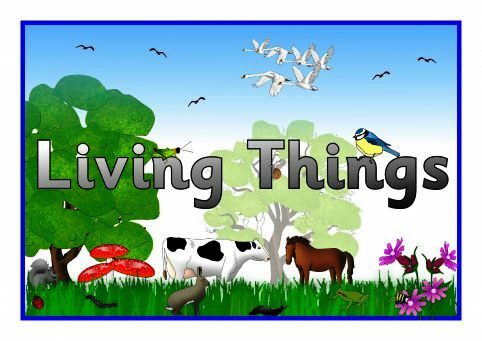 Discover poisonous birds, freshwater sharks, plant-eating spiders, and other animals that just don’t seem right, but are out there waiting to expand your concept of life. A bird is the last thing to come to mind when we think of poisonous animals, but the different species of Pitohui from New Guinea are toxic feathered beauties from the rain forest, to be approached with great care. A poisonous bird: What will they think of next? 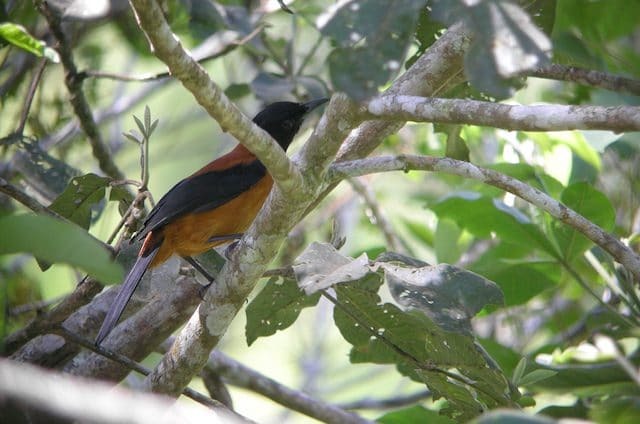 Native to the rain forest environments of New Guinea, the Hooded Pitohui is correctly termed as a poisonous species, rather than a venomous species as a highly dangerous batrachotoxin is present throughout the bird’s feathers, skin and flesh. The bird’s toxicity became apparent in 1989 when a California Academy of Sciences based researcher named Jack Dumbacher who had set out to study birds of paradise in Papua New Guinea noticed burning pain in his hands when scratched by the peculiar Pitohuis caught in nets originally intended to catch birds of paradise for closer inspection. The toxins that make up the chemical arsenal of these birds are in fact the same lethal compounds found in poison dart frogs notorious for being capable of killing predators and humans alike. Exactly why the birds possess this toxicity remains a matter of scientific interest, with associated speculation that the bright colors of these birds warns potential predators of their chemical laden bodies. The process by which pitohui toxins concentrate also formed a subject of scientific curiosity that was solved by Dumbacher when he went back to the rainforest and in collaboration with locals was able to determine that the source of the toxins consisted of poison-bearing beetlesthat the birds consumed in quantity. Lizards represent the hot desert in the minds of most people to a great degree, or at least a sunny, perhaps dusty garden path or tree trunk in a warm tropical jungle. Yet, a member of this vast and diverse group of small dinosaur lookalikes has done the unimaginable and become marine, basking on wave splashed rocks and foraging under the surf. Native to the Galapagos Islands and surrounding waters, the large and colorful Marine Iguana is a lizard that has mastered the sea, hauling out on rocks like a sea lion in between dives below the waves, where they forage on marine algae and seaweeds chewed off the surface of submerged rocks. The plant-based diet is easily harvested with the help of the iguana’s razor like teeth. 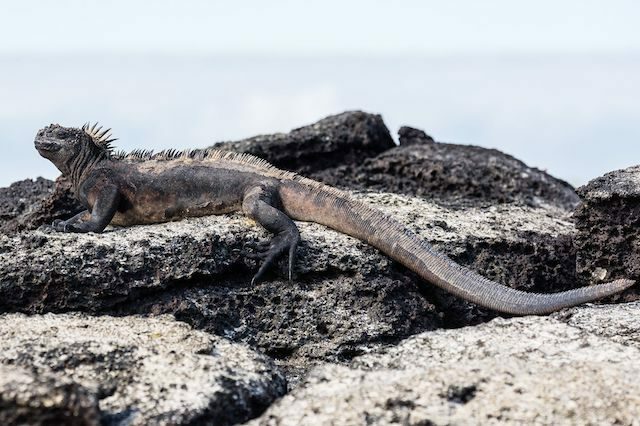 Efficiency is key to Marine Iguana survival, as meals must be gathered quickly to prevent chilling and loss of heat energy. Measuring over 3 feet in length and weighing up to 22 pounds, the Marine Iguana is the only ocean-going lizard on the planet. Large groups of breeding females jockey for space in the breeding season, while males fight fiercely for a chance to mate with the female of their choice. The dinosaur-like creatures are normally blackish or grey-ish in color, but the males stand out with its greenish and reddish hues that come into color during the breeding season, signalling dominance and urging females to select them as mates. Freshwater might seem like a place to swim safely without fear of sharks, but a population of Bull Sharks, a species known to have caused human deaths lives in Lake Nicaragua, while several species of river shark patrol fast moving waters in parts of Asia and Oceania, including Australia. 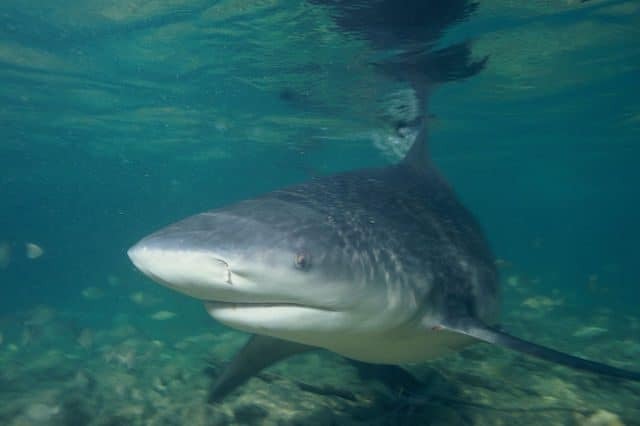 Bull Sharks are a primarily ocean going species, but a population oddly yet naturally established in Lake Nicaragua ensures that swimming in a lake is not a guarantee of safety from shark attacks. While normal marine bull sharks are known to travel temporarily up rivers, the true river sharks belonging to the genus Glyphis are rare, at risk species characteristic of rivers and in some species, estuarine waters. The Ganges Shark is the most closely associated with river habitats, while the Northern River shark and Spear-toothed Shark inhabit rivers and estuaries but more frequently swim in marine coastal zones. While the degree to which they travel in saltwater varies, what these sharks have in common is complete mastery of freshwater environments, with the Ganges shark being especially comfortable far upstream from any source of saltwater. The Bull Sharks that inhabit Lake Nicaragua are not a separate species, but as a population have admirably adapted to the purely freshwater environment of the lake. In order to survive, they draw upon their ability to excrete urine at a higher rate than normal to allow proper osmosis in their lifelong freshwater environment. The Kea of New Zealand is an endangered parrot that acts like a hawk or vulture, eating the young of shearwater chicks and scavenging mammal carcasses. 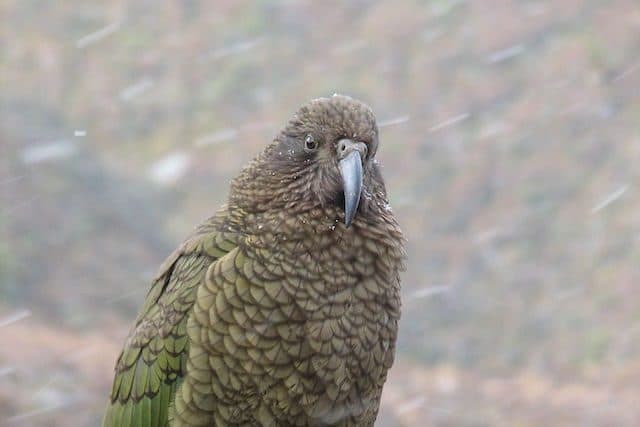 Superficially cute and cartoonish with huge “gooey” eyes, the Kea is the only alpine species of parrot in the world, able to handle cold winds, snow and low temperatures for prolonged periods of time. Their physical adaptations include the ability to soar like a raptor, effectively insulating, thick feathers and exceptionally sharp, hooked beaks that make them adept opportunistic harvesters of meat. Attacks on live mammals are also known to have occurred, especially presenting a concern in the context of livestock management. Because of the tendency for Kea to sometimes prey on vulnerable sheep, wounding them and removing fat and tissue with their sharp bills, a bounty was placed on the birds, which are now protected but still classed as vulnerable. When not feeding on meat from carrion or live prey or searching for plant material, Kea may use their scythe-like bills to extract juicy grubs from the soil, drawing upon their high quantities of nourish fat and proteins. Brown and green in color at rest, the Keas may seem disappointingly dull to first time observers searching for these parrots, but offer a surprise when viewed in flight from beneath with their bright red wing linings and graceful maneuvers as they search for their next meal. Humans might have a near monopoly on mammalian bipedalism and antelopes seem to be the very definition of a quadruped. 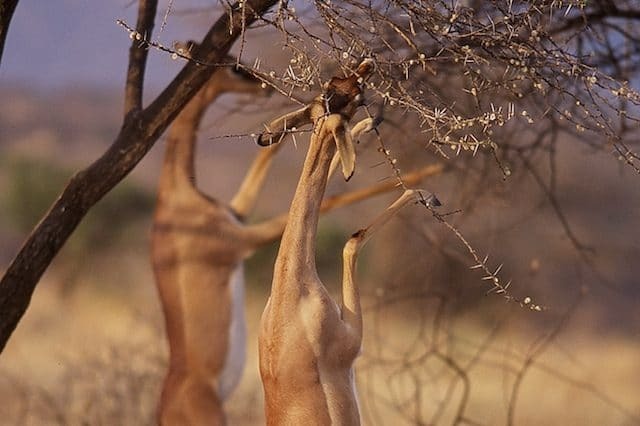 Yet, the slender Gerenuk, with a name that originates from the Somali word for “Giraffe-necked” defies ungulate normality as an antelope species that feeds in bipedal mode. The silhouette of the species is unique among all mammals, crossing a stretched version of the typical ungulate body with an almost primate like-vertical stance. While Gerenuk feeds, the front legs awkwardly extend forward into the air. Standing on its spindly hindlegs to reach heights of almost 8 feet,this near threatened ungulate presents a bizarre sight in the grasslands of East Africa, browsing on leaves, berries, buds and flowers that other species cannot reach, especially Acacia leaves. The ability to stand upright adds to the Gerenuk’s already long legs and almost ridiculous looking, lengthened, skinny neck in allowing them to reach edible plant material well beyond the reach of most other antelope species, from which they also derive most of their water. With the remarkable occurrence of bipedalism in a hoofed mammal species attracting scientific curiosity, investigation into Gerenuk physiology has revealed interesting adaptations that facilitate and indicate significant evolutionary commitment to bipedal capabilities in this species. Specifically, Gerenuks have smaller lumbar spinal protrusions, known as processes, allowing increased inward curvature of the spine required to stand upright for prolonged periods of time. A freshwater seal species does exist and it defies the very definition of marine mammal by it’s entirely lake bound occurrence. Known locally as the Nerpa and possibly half a million years old as a species, the Baikal Seal is the only true entirely freshwater seal species on the planet, restricted to the deep and mysterious Lake Baikal, which is in fact the deepest lake on Earth. Relying on the strange looking Baikal Oilfish or Golomyankas for the majority of their diet as well as sculpins and amphipods, these aquatic carnivores are a species of uncertain origin, still presenting a mystery to biologists who have yet to precisely pin down the circumstances leading up to their establishment in the lake as an endemic species. Lake Baikal is not only extraordinarily deep, it is also extremely cold, with ice that remains into the spring breeding season. Well adapted to their environment, female Baikal Seals have developed the ability to create ice dens,in which they take shelter and subsequently give birth, usually to one pup. 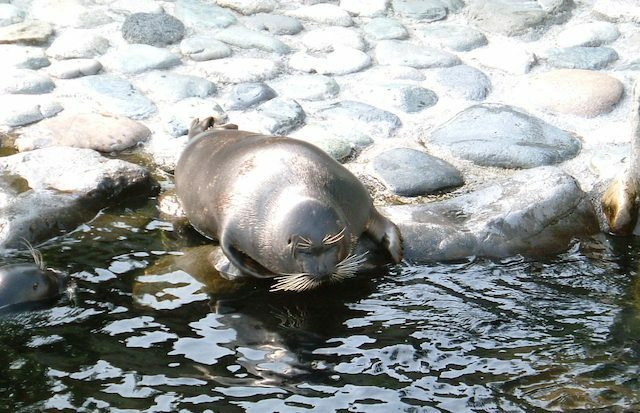 A small seal, the Baikal Seal may reach just past 4.5 feet in length and weigh no more than 154 pounds in most cases. The gray colored, docile lake seals maintain breathing holes in the ice and haul out along rocky shorelines in warmer weather. The concept of a plant-eating spider is something that is unlikely to have entered the minds of most people. The reality that a herbivorous spider exists is likely to surprise even many who are trained biologists or biologists in training. 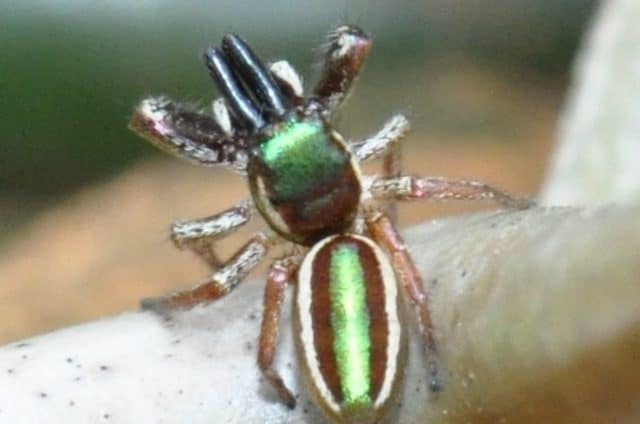 Residing in Southern Mexico and Central America, the recently discovered jumping spider species Bagheera kiplingi is a huge eyed, rather cute looking arachnid that lives a lifestyle running completely counter to what we generally would expect of spiders. The very epitome of a carnivorous invertebrate, spiders are notorious for trapping their prey in webs, ambushing animals from tunnels, injecting doses of venom that are sometimes strong enough to kill a human and running down small prey on foot. In contrast, the primary component of the diet of the brown and white jumping spider Bagheera kiplingi consists of Beltian bodies, tiny, fibre-rich parcels of plant material that provide certain Acacia plants with the resources to engage in a mutually beneficial relationship with ants that feed on the Beltian bodies but defend the tree from plant eaters. The enterprising Bagheera kipling,however, feeds on the Beltian bodies “intended” for the ants, while avoiding attack by the ants through what might be termed mock predation, swiftly lunging for the Beltian bodies and then beats a hasty retreat from the advancing ants. The spiders are mostly herbivorous, but at times may feed on ant larvae. The owls might be the first and only category of birds recalled when nocturnal avian species are brought up. 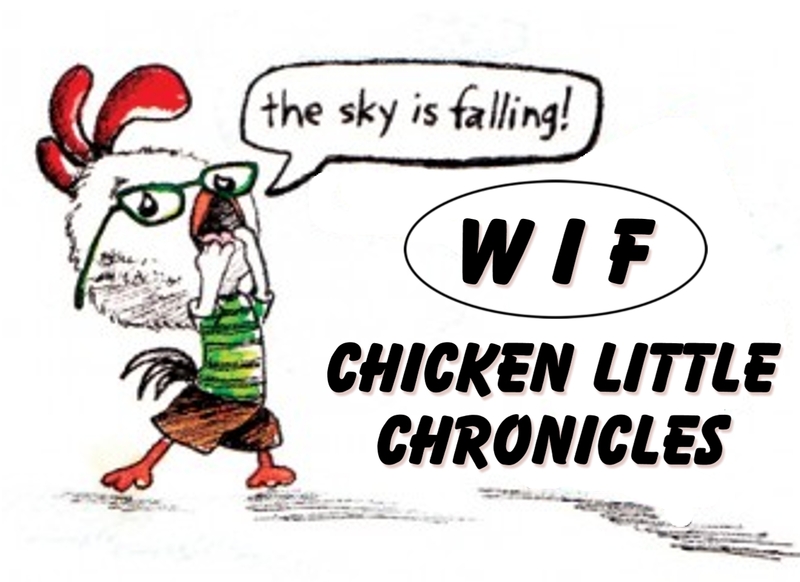 Yet, a little known and unlikely marine bird from the Galapagos Islands, Ecuador and Malpeno Island, Colombia has fully mastered the night sky through an incredibly strange detour in evolutionary history. Foraging above the moonlit waves, the Swallow-tailed Gull sees in the relative darkness well enough to navigate and capture their fish and squid prey by moonlight, resting and tending to the young by day. 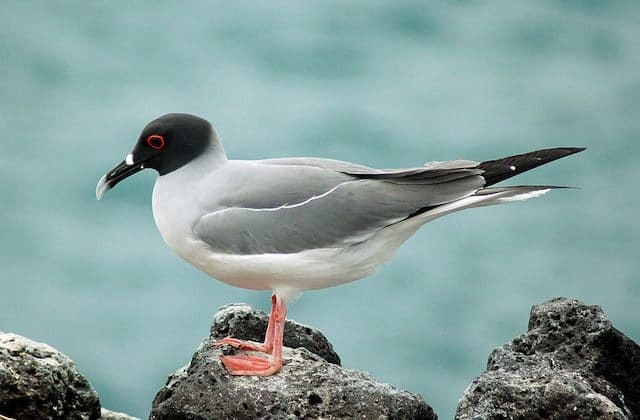 With ghostly pale spots on its plumage, a dark head and fleshy red tissue circling the eye, the Swallow-tailed Gull is the only truly nocturnal seabird on the planet. The strange looking gulls are equipped with extra large, darkened eyes containing a layer of reflective tissue that bounces light back through the retina to the bird’s photoreceptor cells, aiding it in seeing well while hunting at night. Biochemical adaptations include reduced melatonin levels, a sleep inducing hormone found in higher quantities in all other gulls. Heading out at night in large flocks, the night gulls swoop down to seize squid, small fish and any other invertebrates in reach in their prominently hooked bill before returning to their nesting colonies. It is a well established fact in the minds of most that cats detest water, yet there is a species of feline from Asia so committed to an aquatic lifestyle that dramatic physical adaptations have defined its evolutionary history. Instead of shying away from water, the appropriately named Fishing Cat from South Asia and Southeast Asia inhabits wetlands, mangrove swamps and the edges of rivers and streams where they hunt for fish, catching aquatic prey with their sharp claws or seizing prey in their teeth during opportunistic dives into watery feeding areas. Not afraid of water, the cats have a variety of physical adaptations that give them mastery of the water as some of the most skilled swimmers among predatory mammals. 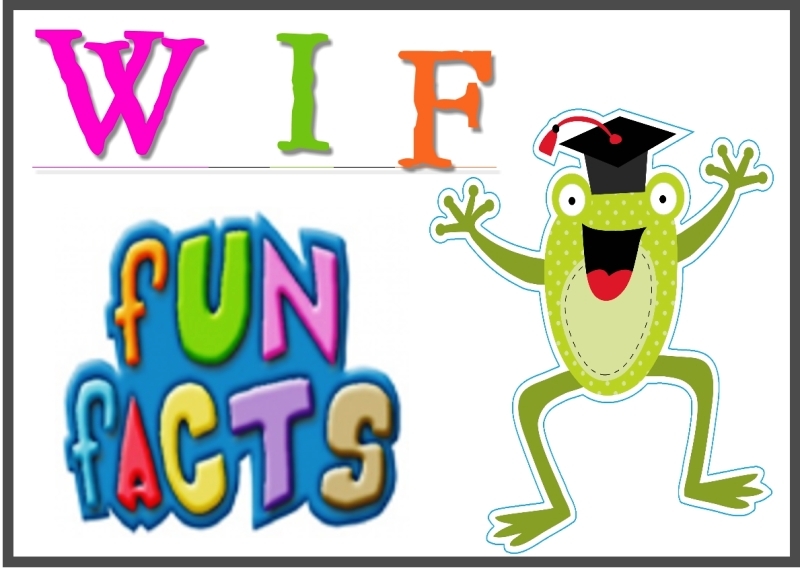 Fish eating cats have short tails, powerful muscles and the ability to walk in mud without sinking and excellent paddling and diving ability, allowing them to plunge deep into the water to capture fish, which forms the major portion of their diet. A thick, short fur base layer of fur insulates the cats from wet and cold when in the water, while longer hairs provide camouflage. An underwater surprise attack approach to hunting waterfowl, where the cats grab swimming birds by the feet from below has also been reported and ranks among the eeriest ways that a mammal can hunt birds. Vultures are the quintessential carrion scavenger and often carry a distasteful association with death in human minds. Yet, a quirky vulture widely distributed across sub-Saharan Africa stands out in total rebellion against vulture ways. Through yet another unlikely and incredibly specific jog in the evolutionary history of modern fauna, the appropriately monikered Palm-nut Vulture has adapted to a diet centered primarily upon plant material, focusing its foraging on the fruits of the Kosi Palm, Date Palm and Acacia. 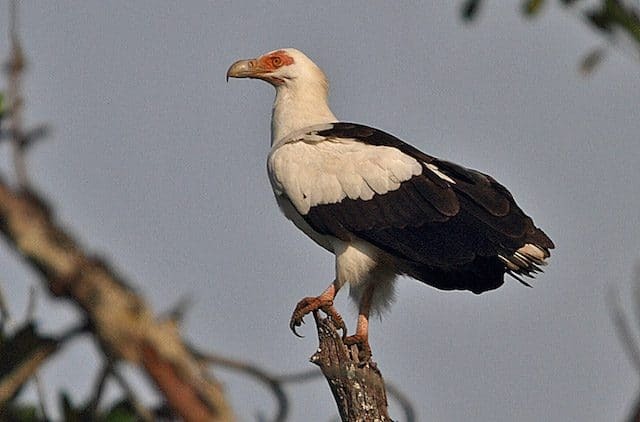 To feed, the Palm-nut Vulture opens the kernels before extracting the nutritious, fatty meal inside each palm kernel utilizes its massive bill to crack fearsome beak to break open its palm kernel “prey” and strip fruit flesh. At just two feet long, with a wingspan under five feet wide, the black and white bird with bright fleshy facial patches is actually the smallest Old World vulture species in the world. The plant eating raptor’s small size and agility, coupled with talon bearing, powerful feet facilitate its impressive foraging gymnastics, where it hangs upside down like monkey from palm branches, accessing its food. The entirely vegetarian source of protein forms the bulk of the natural food supply for this bizarre bird of prey, up to 92 percent of the juvenile diet and 58-65 percent of the diet of adults. Fish, insects and occasionally, bats supplement the palm nut, fruit and seed diet of this bird.